Lustrous 'peacock' black, casually styled pearl necklace in richly dyed iridescent shades. 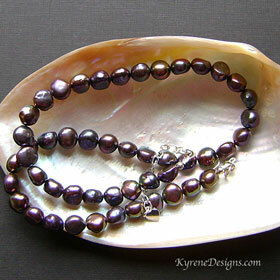 These plump quality baroques are popular for contemporary pearl jewellery. Matching earrings and bracelet available. Length: 17 inches (43cm). Pearl 9mm. Easy to use sterling silver hook clasp, plus 2" extender. Strung on flexible jeweller's wire. 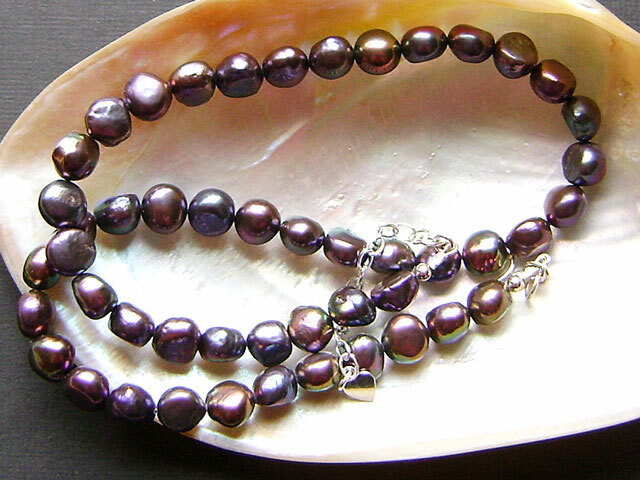 View our materials page for information on natural freshwater pearls.